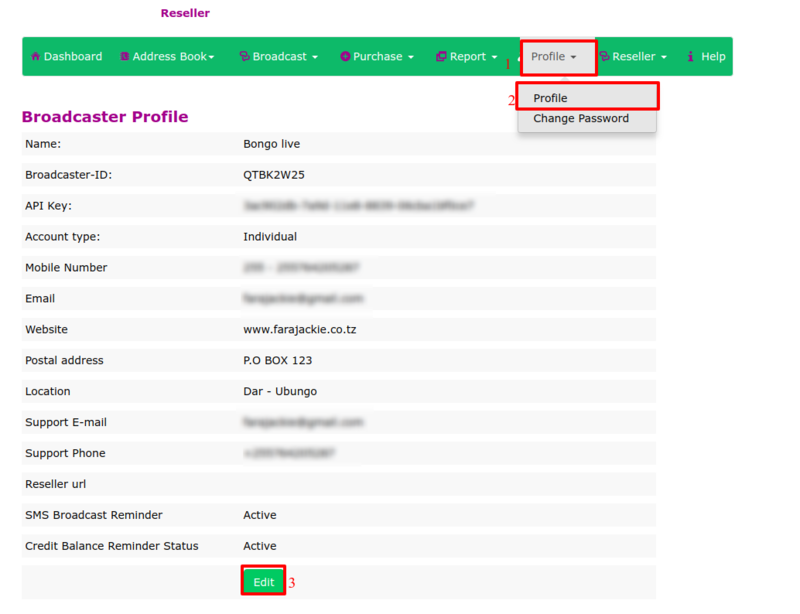 In order to setup or edit the re seller profile, you should follow the following step. On the dashboard, click the “Profile” menu. 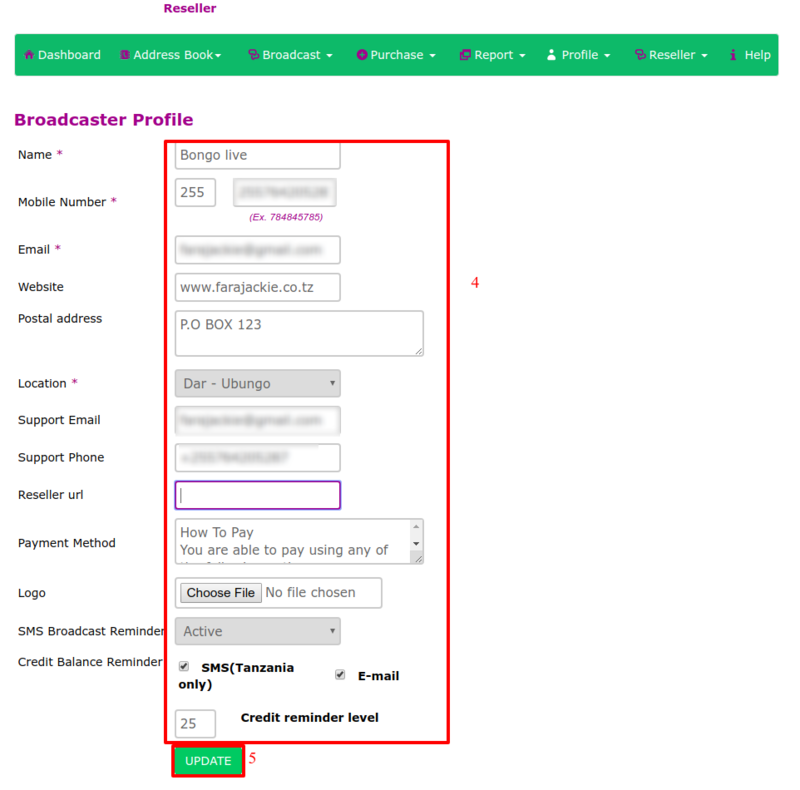 Then choose "profile" from the drop down menu. Then click "Edit" at the bottom to the page in order to edit. 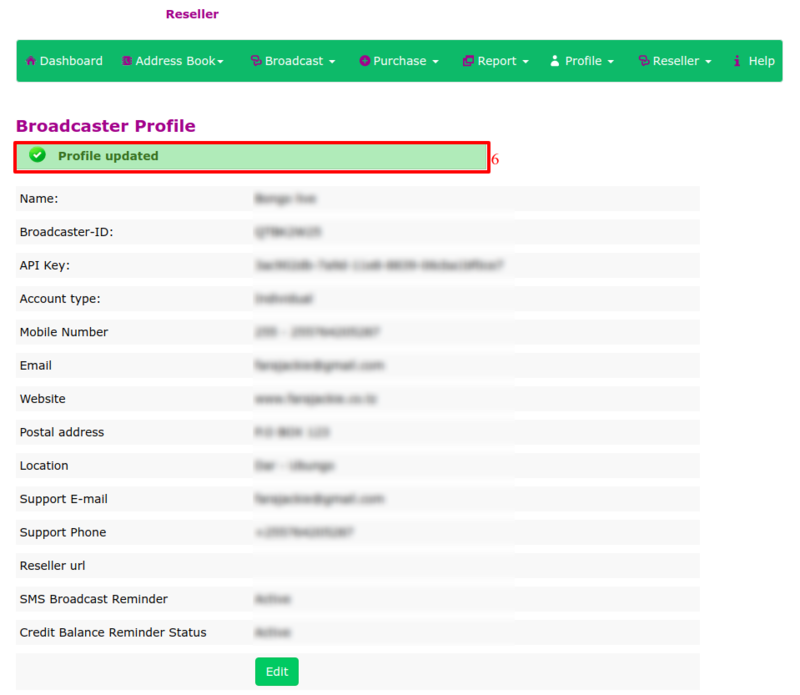 You will receive a notification that “Profile Updated” as shown below.